I have just survived seven long days of rain here on the gulf coast. Yes, you heard that correctly, it rained for one entire week!!! I am a HUGE fan of sunshine, so this ole gal has been going nuts, without it. Thank goodness, it's over! During all this rain, I have been busy re-doing my cottage and creating some merchandise for my shop space. Today, I will be bringing in a lot of new merchandise and doing a re-do there. I will be sure to do a post about it later this week, so be sure to check back in with me. Now, let's see what you have been up to this past week. you missed this fun trip, click here. foyer. You can get that info here! Features from last weeks party!!! Hi Linda, I hope your week is starting off on a good foot. 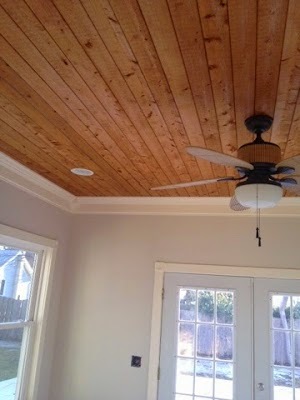 I love your ideas for your foyer. Thanks for taking the time to host us, and feature some great talent out there. Great features, Linda! Thanks for hosting! Hope the rain makes everything lush and that the water tanks are full. Thanks Linda for Show and Share 258. Have a great week, looking forward to seeing pictures of your shop space. Rain all week here with the topper of a small tornado last night - very rare here. Thanks for hosting. Around here, every day without rain is a special gift. Here's hoping your sunshine sticks around. Thanks for hosting the party. Thanks for the party! 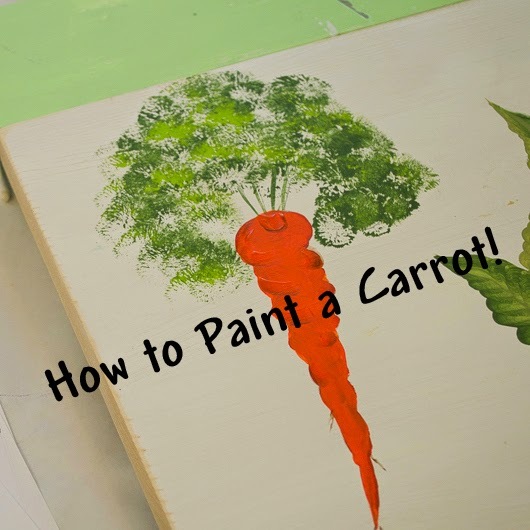 I love that carrot, so sweet for spring! Hi Linda...thank you so much for the party! I think we are just now getting some of your rain but it is all good. Spring is finally sprung! Wishing you a wonderful week! thank you so much for the feature! It is always a treat. Send some rain our way in dry ol' California, we need it desperately. Thanks for the party Linda, and yes, rain rain stay away!! We've had a week of rain too, Linda, and I've had enough! I think you saw the picture on my Facebook page of the creek running across my road. It's finally sunny today, thank heavens! Thanks for hosting a wonderful party!! So glad you can get out and enjoy the sun!! what a bummer to be at the beach and have it rain the entire time! thanks for having us over to party, Linda! Thanks for hosting. Those are lovely features. Hopefully all that rain will help your grass and gardens in drier times. Can you send some of your rain out to California? 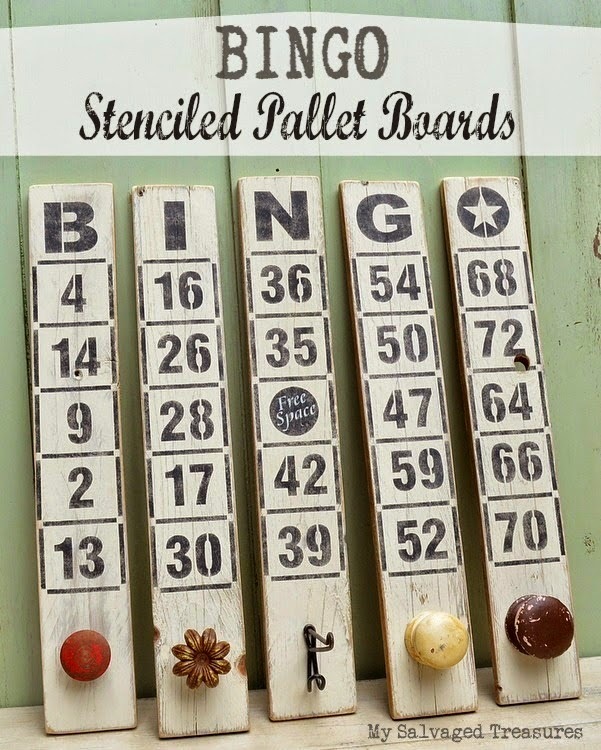 Thanks so much for hosting Linda and for featuring my stenciled BINGO boards. I love all the shell items. I can't wait to start decorating with them too. 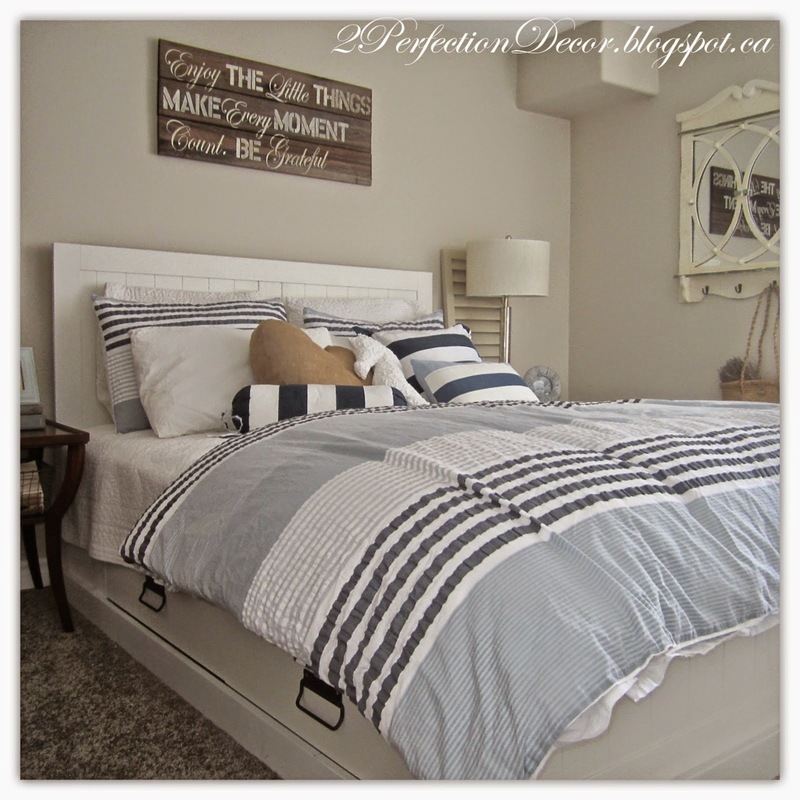 Thank you so much Linda for featuring our Coastal Guest Bedroom. All The best! Hi, Linda; Sounds like you've been getting the weather we usually have in the Pacific Northwest this time of year! Days of it can drive a girl crazy. Thanks so much for hosting this party. Hi Linda, Love Betsy's Bingo. What a talented gal! Thanks for the party.